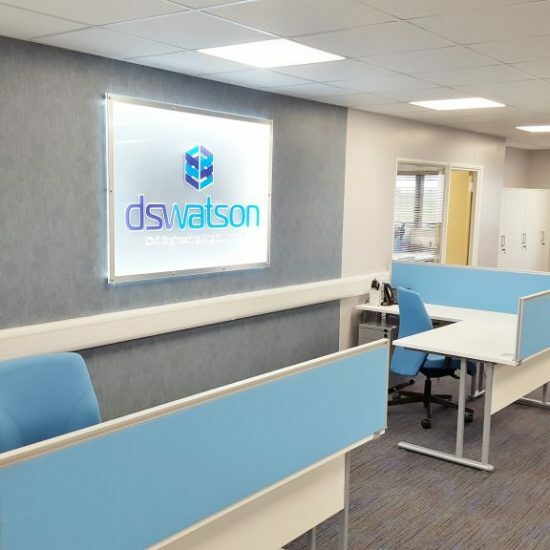 DS Watson required a full office fitout, including new mezzanine floor and office partitioning, in an empty warehouse building at their Beccles headquarters. 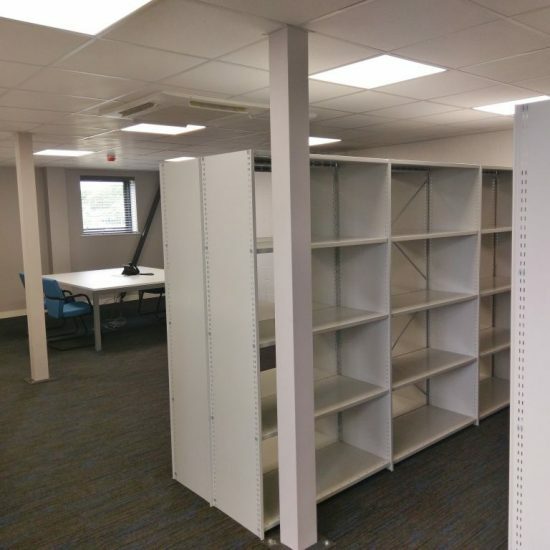 The construction of a new mezzanine floor created additional first floor space in an empty, warehouse building. The space beneath the mezzanine became home to storage facilities, quiet meeting spaces, a private boardroom and staff welfare facilities. 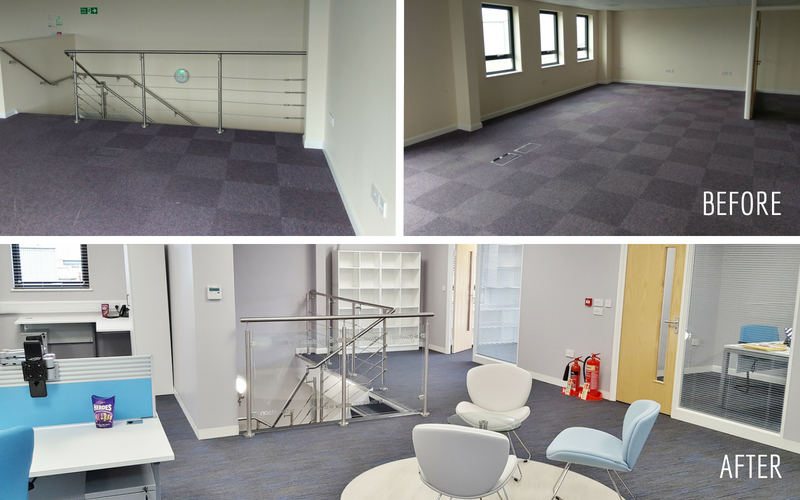 Meanwhile the first floor was partitioned into a combination of open plan office space, smaller enclosed office units and meeting rooms. 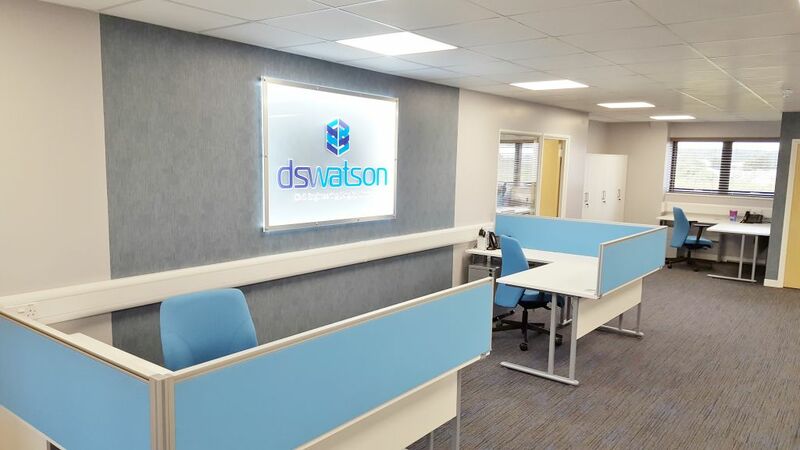 A curved staircase, complete with attractive glass handrail, led visitors upstairs into an open welcoming reception area and connected the two spaces. 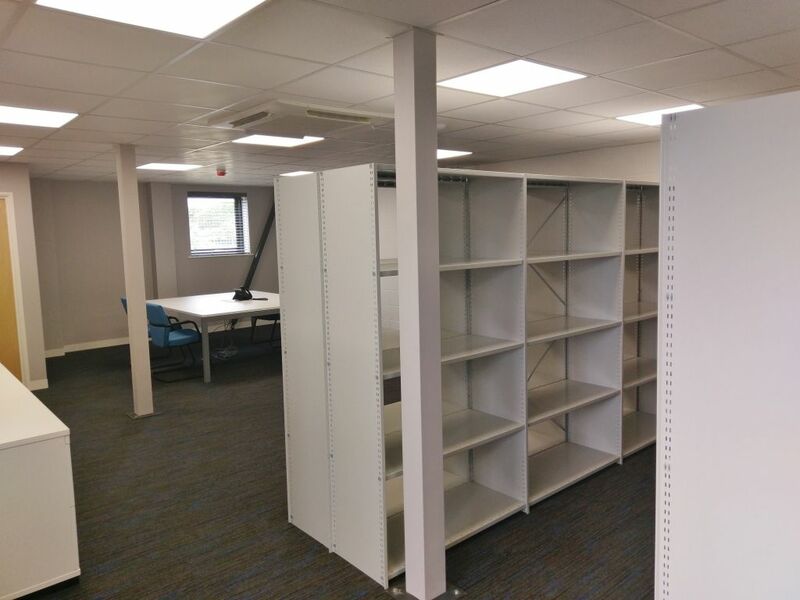 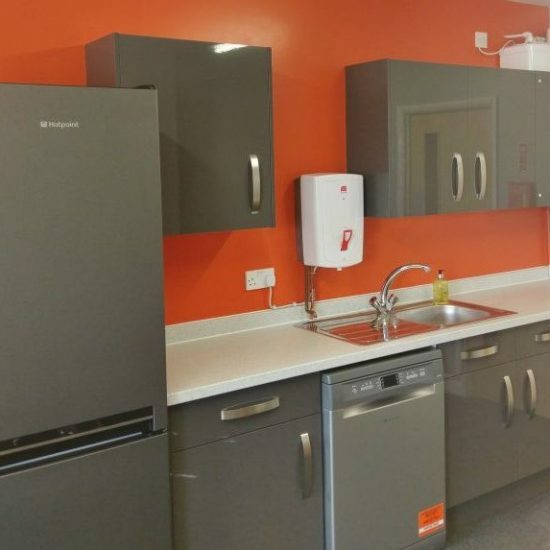 Interior design, space planning, office furniture and storage solutions were integral to the fitout. 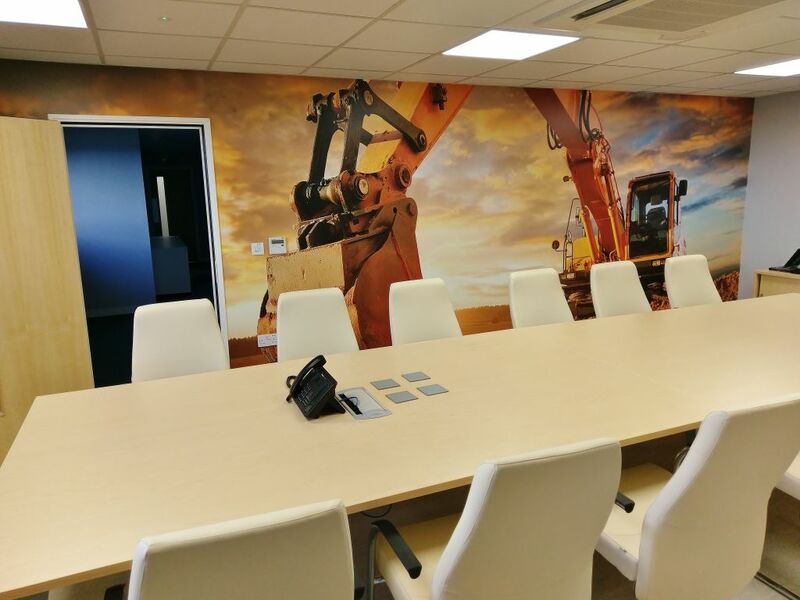 Bold custom digital wallpaper, featuring photographs of DS Watson’s groundworks plant, was used to dramatic effect in meeting rooms. 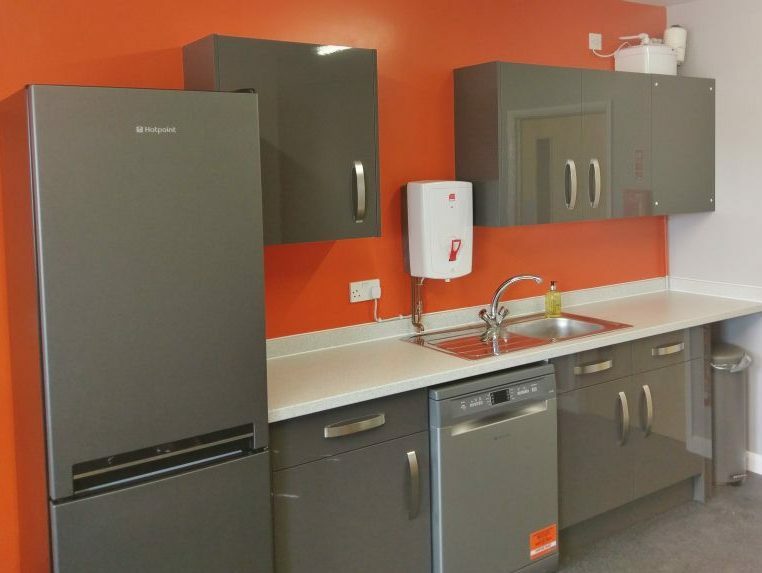 With such a comprehensive fitout, the initial design phase was vitally important. 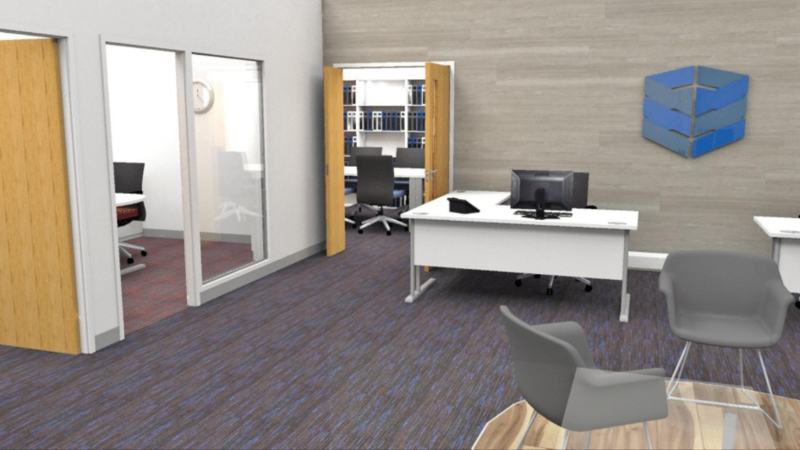 3D fly-through modelling (see above) and renders were used to ensure that the client was able to clearly visualise both the configuration and aesthetics of the new space. 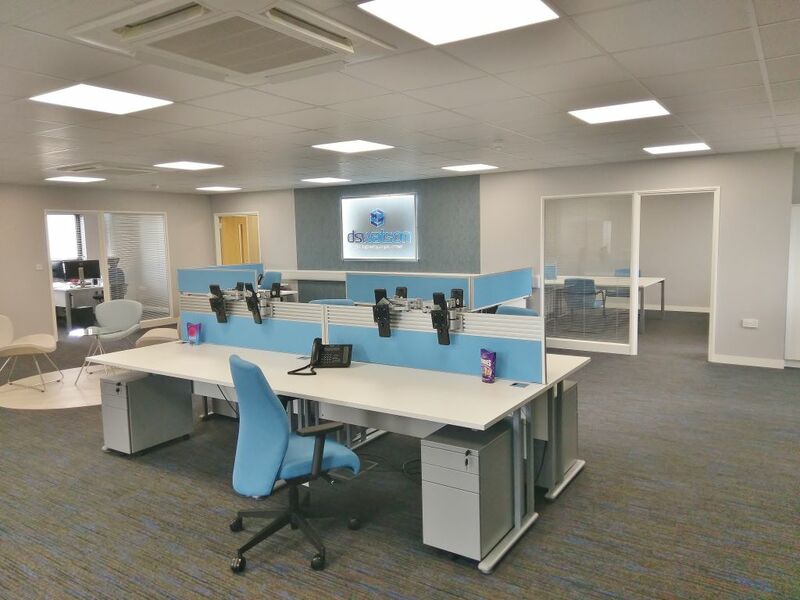 “From conception through to completion I found Acorn Works an extremely professional and amiable company. 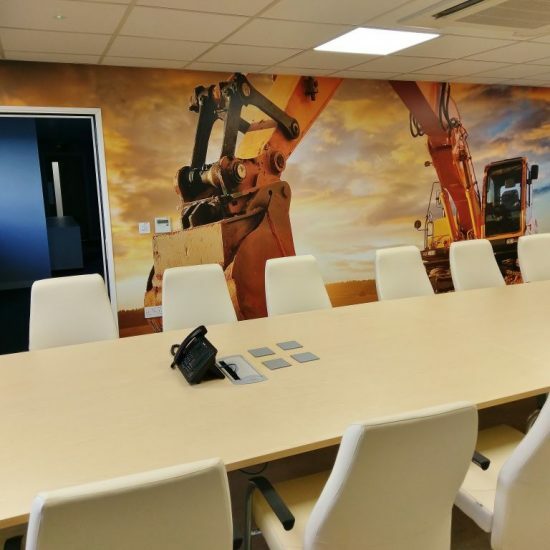 They were proactive and showed attention to detail in both their approach to design and construction throughout the project. 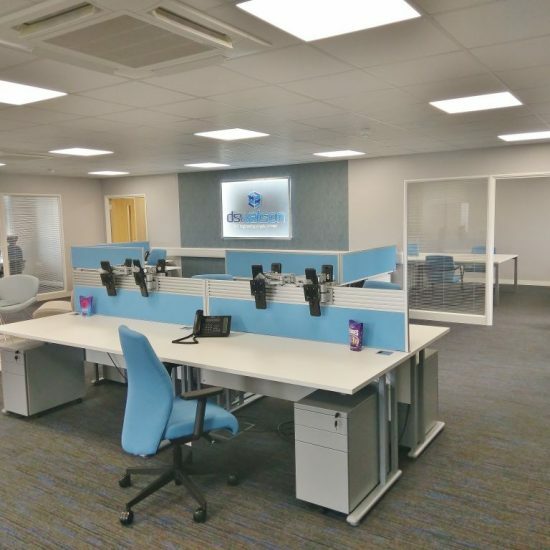 No problems were insurmountable, which made the whole process of constructing our new offices a less stressful experience.